Allergy physicians have become aware of the role of our immune systems in fighting common environmental allergens. If our immune system is inundated with too many allergens, our health may begin to deteriorate due to the increased stress our environment is creating upon our immune defenses. Fortunately, there are pharmaceutical and environmental strategies to help allergy sufferers cope with each of the most common allergens mentioned above. According to allergy and asthma physicians, one of the most effective ways to treat dust mite allergy symptoms is to eliminate allergens in the immediate environment. Miniscule particles that float through the air such as dust mite remnants, various pollens, mold spores, and animal dander can trigger allergic reactions. 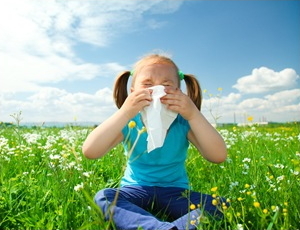 Once they are inhaled, allergy symptoms begin to manifest. We take pride in the quality of dust mite control products and allergy control products we offer to those who suffer from allergies. We are proud of the environmentally-friendly nature of all our products. If you are sensitive to the quality of the air you breathe, the cleanliness of your home or the clothes you wear, then we can help you with green solutions and products that can help you live a healthier life free from symptoms common to those who suffer from allergies. We offer our clients a menu of services that can help in the fight against indoor allergies. Whether you do it yourself or hire us to provide the service you can rest assure we will do everything to help you improve the air you breathe. Our services range from deep cleaning your carpet and hard surfaces, to treating your carpet, upholstery and bedding with our anti allergen and dust mite spray, to complete disinfecting of your home through electrostatically spraying Vital Oxide to the application of PURETi to your windows and light fixtures to provide long lasting relief. Contact us for our professional services or feel free to check out our store to pick up your supply of allergy fighting products today.